Different stains require different ingredients to eliminate them. Science shows that there is no one single ingredient that cleans everything well. So why doesn't every brand put all of these ingredients in? Probably because it costs more to do that. 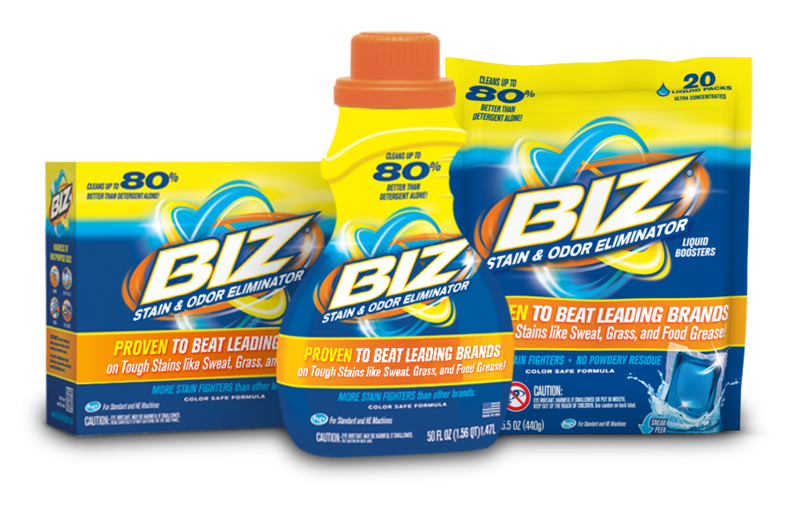 But BIZ® didn't cut any corners... Biz has more stain fighters than other brands. That's why it works better. See how the ingredients in Biz stack up against other leading brands. Biz is fully-formulated to work on MORE tough stains! Plus, we are the only brand with Enzamix™, a unique blend of enzymes designed to quickly dissolve bacteria causing stains and odors from grass, sweat, blood and more.